I know it is cliche and I try to avoid it as much as possible because I think you sound like a "look how clever and well-rounded I am!" dill-hole when you say it, but in the case of the Hunger Games, the books really really were much better than the films. The movies on the other hand, kind of got on my nerves. Especially the pageantry surrounding the actual games and especially the play-by-play provided by announcers with ridiculous outfits. 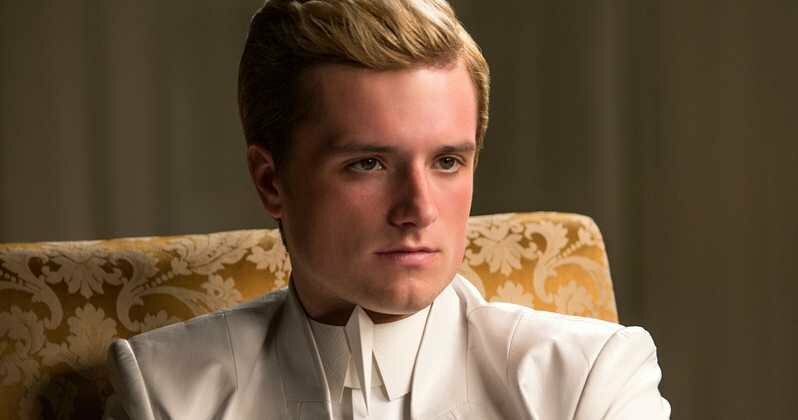 In particular I now have a life-long beef with actor Josh Hutcherson, who in my mind was a terrible choice for an already boring character Peeta and nearly every scene that involves him is just irritating AF. 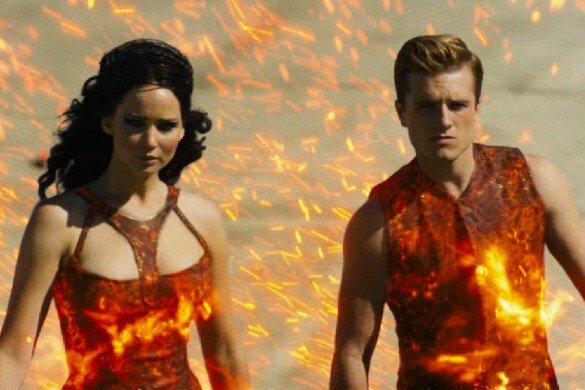 Digital Spy website has Peeta named as one of the "12 most annoying characters of all time" in films. I feel as though one of the only characters that was accurately represented in a "less than cringe" fashion (including Jennifer Lawrence) was Woody Harrelson's portrayal of washed up alcoholic ex-champion Haymitch Abernathy. I've always liked Woody and felt as though he was one of the few good characters in the entire trilogy. Donald Sutherland is an exceptional actor but even he couldn't salvage the cheesy portrayal of President Coriolanus Snow. I really feel as though they missed the bus on this one. 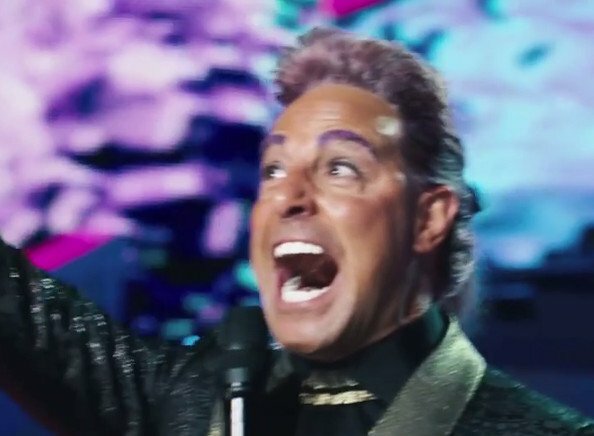 Stanley Tucci plays Caesar Flickerman, an very punch-able irritating character who only exists to explain the plot. The play-by-play provided by him and his absurd hairstyles interrupt the film and provided me with plenty of eye-rolling moments. I suppose that director Gary Ross really faced an uphill battle when deciding how to shoot a lot of the scenes because the scenarios that appear in the books are crazy and would have been daunting to represent on screen even if their $80 million budget had been tripled. I also felt that it was a dirty trick on the part of the studios to turn the 3rd movie into 2 movies in an effort to milk as much money as possible from the audience. The end result of that decision was 2 Mockingjay films with a LOT of filler and both of them were boring. I don't think I even finished watching the last one. 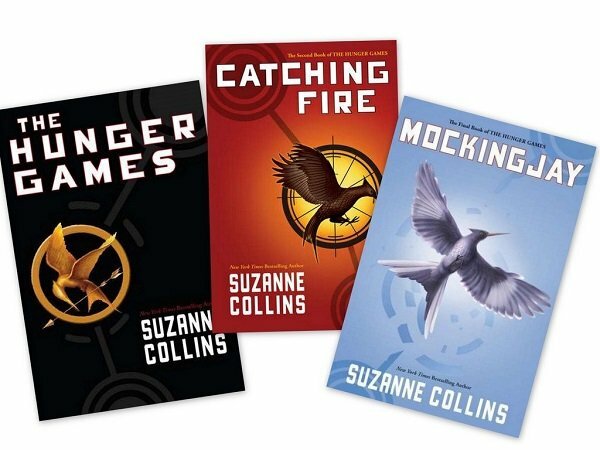 I don't know how many books I have read in my life and while I suppose these books were primarily aimed at teenagers, I found them to be page-turners and I am pretty sure I devoured them faster than anything else I have ever read. Have you read them? What did you think? Am I being childish or do you agree with me?